This image shows the appearances of the Refsdal supernova. 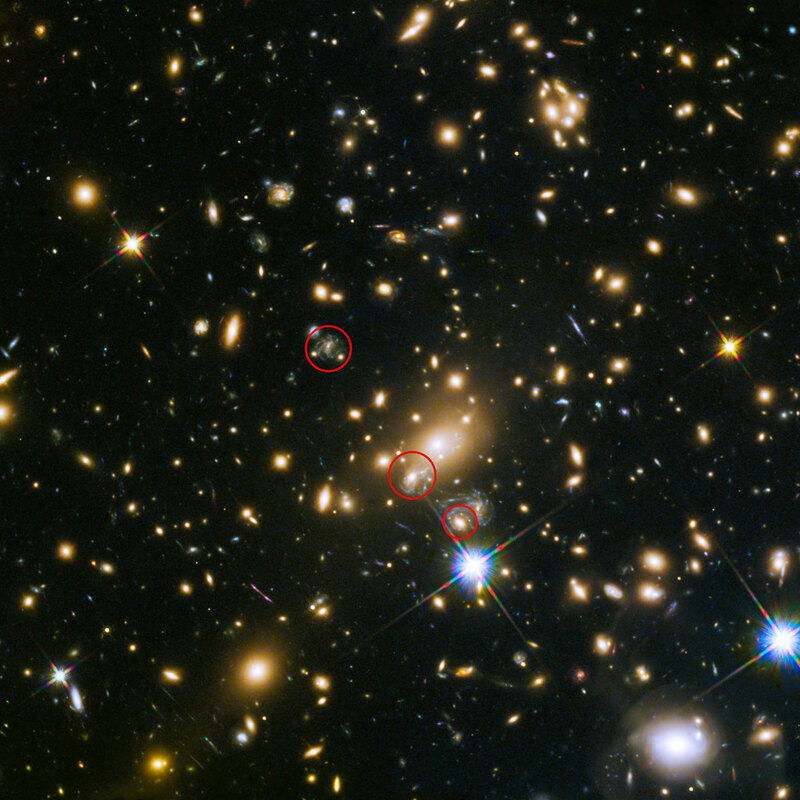 The uppermost circle shows the position of the supernova as it could have been seen in 1998. 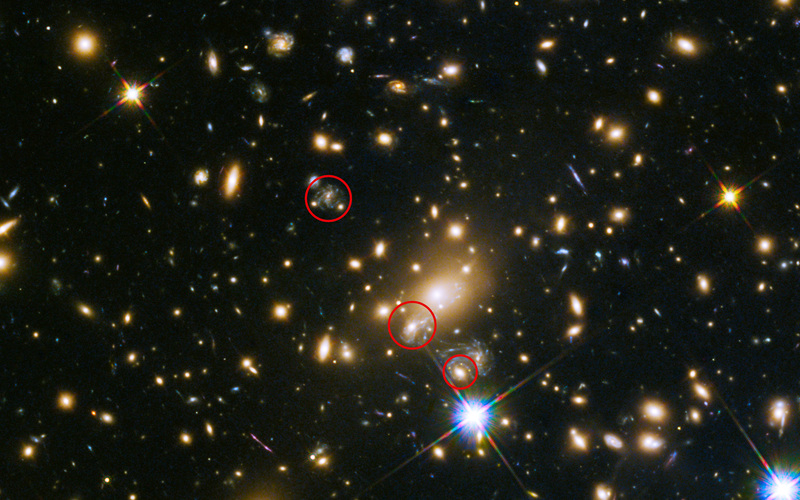 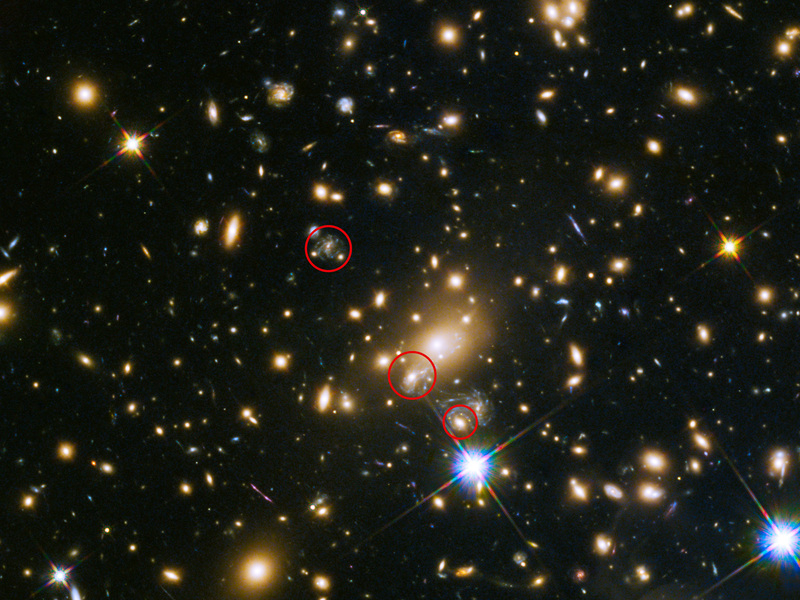 The lowermost circle shows the galaxy which lensed the supernova four time — a discovery made in late 2014. 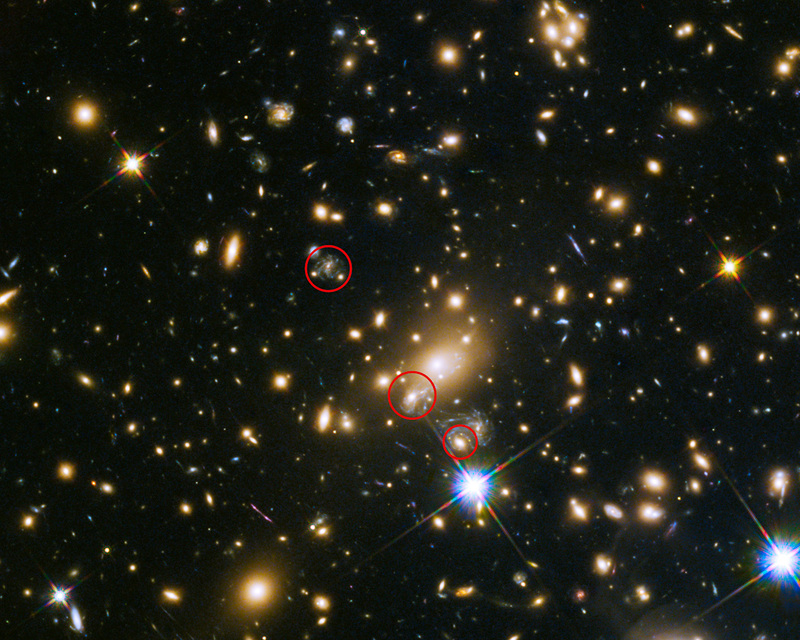 The middle circle shows the latest position of the reappearing supernova in 2015.